A great quality fully-built quiet PC, using best value high performance components. This PC is perfect for a home or family environment and its all-round capability will appeal to users of all ages and abilities. Achieving absolute PC silence is not the cheapest way of buying a PC as Nofan's incredible IcePipe cooler demonstrates. However, for customers who are prepared to accept a very small amount of running noise, we are delighted to offer the Serenity Home Value which is a fully-built PC system. It is designed with performance and quietness in mind, using components which we feel offer the best balance of speed, quietness and value. The machine can be configured to your exact specification and offers, as you would expect, incredibly quiet operation which is barely audible. 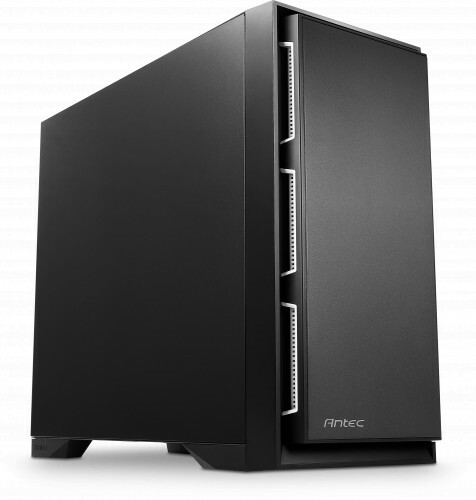 Nanoxia Deep Silence 3 Anthracite ATX Mid-Tower Chassis ? Nanoxia Deep Silence 3 Black ATX Mid-Tower Chassis ? As a first-time customer I cannot fault the service I have received from Quiet PC. All communications were polite and timely, striking the right balance between professionalism and informality. The PC is whisper-quiet and so far is working as expected. Sadly the same cannot be said for Windows 10 and 3rd-party drivers but no blame can be attached to Quiet PC! I would have no hesitation in buying from this company again or recommending them to anyone else. No, they are not the cheapest but nor are they, in my opinion, expensive based on the quality of service and equipment. You get what you pay for! Thank you to all at Quiet PC.